I’ve been working here for a whole week, and I just realized that our wonderful company, Clothing Inc., has neglected to employ any form of social media interaction with our intended consumers. I thought I would bring this to your attention because I think that your company can benefit from an increased social presence in various different areas of the interwebz. As you know, I posess a degree in Something Amazing, and I believe that with my extensive skills learned in the Creative Blogging field, I can help lead this company towards a brighter and more profitable future. Create a self-hosted blog, that presents our latest products to give and recieve feedback. Using various demographic information, you can target other websites which would display your advertisements and promote your content. If examples are needed to drive home the sheer importance of the need for a social presence, you must look no further than companies like Nike or L.L. Bean, or Ralph Lauren. Each of these companies employs multiple blogs, Facebook pages, Twitter accounts, and advertisements, to create a steady stream of revenue, which can then be sunk back into the company. Another form of social media that would work well in conjunction with the blog is a company Facebook page, Twitter account etc. Through this form of presence you can not only reach a much larger audience, but in conjunction with analytics engines, you can find out more about your customer base; their likes and dislikes, and then tailor future products that you feel will be relevant to the consumer. Through this you can also get out public endorsements quicker. You can feature models and post biographies of them to connect your readers a little bit more. Giveaways and coupons will also work well. Consumers are moving to the internet in droves to find their future products, and are consistently turning to blogs for more information on those products. You’ll need to hire a team to complete all this work, but I think I’d be perfect for the job. Live blogs could negatively impact or positively impact something that we are passionate about. The positive impacts consist of being able to keep up consistently with the event or source that we are passionate about at an instantaneous rate. Unfortunately, live blogging can be opinionated and due to its high frequency, it is unreliable and prone to factual lacks. This can change your perception of the thing that you are passionate about by giving you biased updates and possible misinformation. Another way that the existence of live blogging can hurt your perception of something your passionate about is by flooding you with unnecessary information that you do not care for on the matter. For example, if you are passionate about a music band for their music and you subscribe to a live blogging source thats about the topic, you might be informed about unimportant details about them constantly that will hurt your view of their music, which is what you were initially passionate about and what is being diminished by the irrelevant information on them. Live blogging comes with virtues and vices. Without live blogging, we would not be able to keep up with events such at the Oscars or Grammy’s the way we are today. If something extravagant happens in one of those events, then the world is informed about it and the information spreads like wildfire. This widens peoples perception on an event that they are interested in by keeping them at the forefront via instantaneous knowledge. But the widen perception maybe one through misinformation as it is not given that the information will be factually sound. Also, the information on an event that one is passionate about and that is being blogged live could also be opinionated and therefore could influence one’s perception on the matter by introducing them with a view that they were otherwise unfamiliar with, and now with the power of live blogs, is popularized within the masses. In other words, live blogging could influence the masses, and with effects similar to peer pressure, your views on the matter that you are passionate about could change. 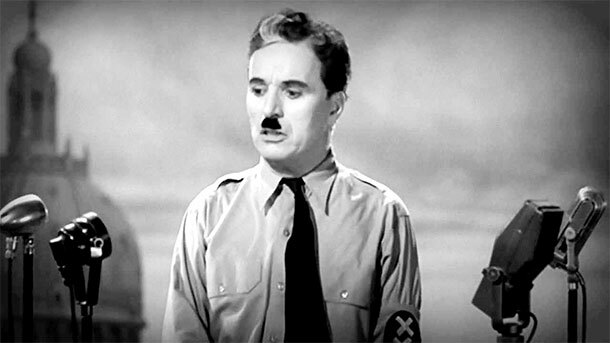 Charlie Chaplin in a Hitler movie said that the sole existence of technology proves the nature of human beings as one yearning to bring one another closer. The technology that is prevailing today is not only indicating that we are getting closer via news, but is proving that we prefer methods of communication in an instantaneous and straight forth manner. We have relied on news to communicate information around the world. News started off with a platform in newspapers, then expanded to television, then to the internet through online articles, and now it is on a new expansive level like never before through live blogging. The article states that live blogs are getting three hundred percent more readers than conventional online articles. With statistics like these, every news company is hopping on board with live blogging. They work especially well with the coverage of events that rely on constant statistical updates, such as the US Presidential Election and sport events. One of the reasons that readers are preferring live blogs is because they believe that live blogs are more objective. Perhaps this is because of the concise trait of live blogs. It has the appearance of a short message, long enough only to convey the news, rather than a long dolled up article containing biases or political agendas. Another reason why they prefer live blogs is because they can easily follow along on a story as it unfolds. Now people are constantly getting updated with their news while they are at work and are able to do so because of the “bite-size pieces of information”. On top of just reading, people are participating in conversations through commenting on these blogs. The article refers to this as the “Twitter element”. Live bloggers are three times more likely to include reader’s tweets rather than the comments added under the blogs. There is a downside to live blogging. With the constant updates from live bloggers, thorough factual verification is difficult. The Thurman-Walters research studied how live bloggers work and they realized that they work at a frantic pace. It is not unusual for them to publish updates “every 20 minutes for six hours straight”, and that in this frenzy “there is little time for fact-checking”. Paul Lewis, a reporter for Guardian states that sitting in front of a computer is of less value than being on the spot. Though live blogging may not be as thorough as other forms of news, it is the fastest growing source of news and it is turning out to be the preferred form of news by the population. Technology has demonstrated that human nature is one yearning to get closer to one another, and live blogging is allowing it to happen in a faster and more interactive way. Stephanie Green describes the many ways that blogging can make you a better writer. She claims that even being a mild blogger can help, as opposed to being a full time blogger who dedicates a large portion of their day to blogging. She starts off by stating that the schedule of posting, whether frequent or infrequent helps hone writing skills. She also states that blog help writers who write frequently in their daily lives, for example people who write fictional stories. Blogs can be used to elaborate the fictive backgrounds of those characters. It can also be used to link readers to your books and books can be used to link people to your blogs, therefore increasing your readership and encouraging further reading. She claims that the feature of plug ins help writers to be more competitive with themselves. For example, a blog site tells you how many words you have written. So writers can set and achieve goals such as reaching 3,000 words every two weeks and so forth. Blogs also have plug ins that identify what words you are using frequently, therefore making it clear whether you are being repetitive or not. She concludes by claiming that readers are the most important part of a writers goals and that blogs serve as a platform for any reader to access your content. They are also able to interact with you on a personal level by commenting on posts and contacting you through your blog. This makes writers aware how the public is responding to their work and how they may need to adjust their work to be successful in gaining readers. The author of this article is a writing teacher so he comes from a credible background as he asserts his opinion on blogging and how it is beneficial to writers and writing. The first thing he states is that blogging helps force the author to publish their work rather than hesitating to let others read your work. Before blogging, writers and their works would be very distant from potential readers. The process of finding readers was an arduous task. He states that in writers workshops, writers are constantly revising and editing, afraid to publish or finalize their work. Blogging forces a writer to hit publish and make their work available to readers in a final form. He also states that blogging allows people to figure how they can be heard. By writing smaller and more frequent pieces that get more frequent feedback, writers learn what they need to say in order to get attention and feedback. This allows writers to identify and acknowledge readers in a very efficient manner. He also brings up how talking to other writers in workshops, bookstores, conferences, and classes has made him and his students better writers. Blogs take this aspect to a higher level by providing a platform that allows for anyone with the access to the internet the ability to communicate with writers. So the relationship between writers are expanded with the internet and allows for writers to help each other out through communicated their works and building relationships. He concludes by stating that blogging creates the habit of writing and that the frequency of writing that blogging forces one to write is the essential aspect of blogging in terms of assisting writers. The only way people get better at writing is by writing. The author of this writer is actually coming from a background of where he felt that blogging was detrimental to a writer’s skill’s, but soon did a complete 360 on his views once he started participating in blogging and came to the conclusion that blogging actually makes writers better at writing. The first way he states that blogging can make a writer better at writing is through the discovering one’s own voice. He states that in school and at work, most people are forced to write in a technical manner. This tone is forced upon them in the form of duties and responsibilities. On the other hand, writing blogs allows the writer to explore his personal voice in consequence to the lack of restrictions imposed by the medium. He states that the best blogs are the ones that have the best personal observations and assertions. Another way he says that blogging helps writers become better at writing is through their ability to get direct feedback from readers. Sometimes when we write we wonder whether the topic of the blog will be relevant to anybody, with blogging we can get the answer to these questions pretty directly and quickly. He also states that blogging requires you to be disciplined due to its requirement of posting frequently in a creative manner. With reader that are dependent on your content, you feel both inspired and required to write in your blogs. Lastly, he states that blogging makes you more time efficient. It requires you to write more frequently, therefore making your writing skills more keen as practice makes perfect. This article makes the argument that digital media is making kids think and write more critically than ever before. One of the approaches that they took to prove their claim was very interesting. They believed that the only way to compare kids progress today was to compare their writing works to that of their great grandparents. And they have found that student’s papers have exploded in length and complexity since 1917. In 1917, papers were only 162 words long and were personal narratives, while in 2006, papers increased in size six times and were more complex that used far more references and complex connections. This is a reflection of all the information that kids are able to access in the digital age. In general, people back in the day did little to no writing out of school, now kids are constantly writing. Not only are they writing more, but writing faster and more efficiently. An argument has also been made in this article, that digital communication serves as a motivation to be literate. For example, if a family member or friend is literate and is participating in the widely available social media, it makes motivates one to participate in the media. The article provided an example of Eric Davey. Davey wrote a 14,000 word essay on a game at the age of 14 years old. The motivation came through a digital medium; games. In comparison, school only required him to write 500 to 1,000 word essays. The digital age provides a sense of purpose to people to write. Dish, Sully. “How Blogging Makes You A Better Writer.” The Dish. N.p., 18 Sept. 2013. Web. 23 Mar. 2014. <http://dish.andrewsullivan.com/2013/09/18/blogging-makes-you-a-better-writer/&gt;. My new thesis is directed toward the fact that blogging can help writers becoming better at writing. This article focuses on what a blog forces a writer to do and how that in turn sharpens the skills needed in order to be a successful writer. For example, a blog requires you to get to the point, as opposed to a school essay that requires you to write 5-12 pages. When writing a 5-12 page essay, a school assignment that is meant to encourage better writing, some students get a bad habit of beating around the bush and filling in the page requirements with non-essential information that creates bad habits. Blogs on the other hand benefits students by taking the task to the other spectrum. Blogs require people’s ideas to be portrayed in a concise manner, which promotes critical thinking that weasels out the unnecessary information on their point. – The ability to communicate with the blogger through comments on their blog posts were actually pretty difficult. It may have been a browser incapability issue, but most of the class was unable to comment on the blog successfully. – Categories would be a great addition to the blog. They would make browsing and identifying particular topics much easier. – The layout was very textual based and so was a little mundane. Perhaps some more pictures? – A textual preview of the blog would be helpful for the readers. Right now the set up is so the reader is given a title and requires to click more to access the whole blog. A little preview of the blog would give a hint to how the writer could go about writer. – A trending blog that has received the most views and or votes would be nice to view at the outset. – The same could be applied to bloggers, it would be nice to see top bloggers in order to see which blogger garnered the most views and votes. – It would also be great for better interaction between bloggers and readers if reader were able to make usernames through e-mail addresses. This would also give them the option to possibly be subscribed to the blog and be alerted to new posts. Bloggers can increase their readers through posting dependability, uniqueness, and genuine content that is relevant to the reader’s interests.